Looking for information on Yigang Precision Ceramic Co Ltd who is based in China that sells Industrial Ceramic Parts? 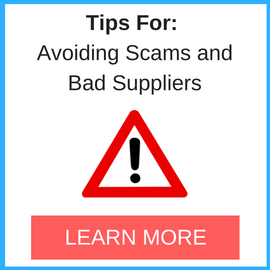 If you’re looking for information on this company then read the below experience of one buyer who ended up having problems with this company so you make sure you avoid having the same problems also. Always late with delivery, and difficult to get answer from. Latest delivery of 2.500 pcs. was giving 04.07.2018. 17.08.2018 we pay for the parts. First 10.09.18 1.600 pcs. show up. Since that day we have ask for the reminding 900 pcs. but never received more info. 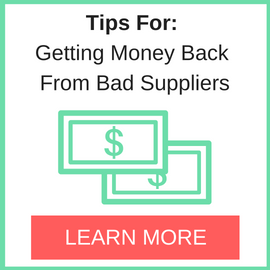 If your supplier after 3-4 deliveries can not supply in time and not are answering your mails, find another as he might have problems eighter with workers or financials. Need More Info on Yigang Precision Ceramic Co Ltd? 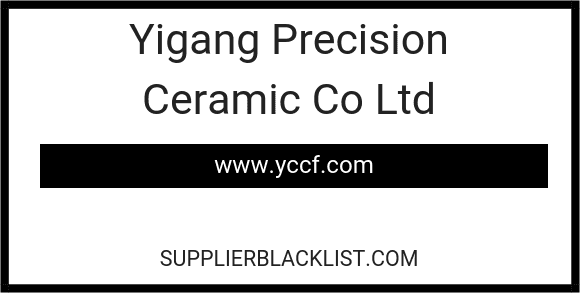 If you need more information, you can click the below links to search for more submissions about Yigang Precision Ceramic Co Ltd on Supplier Blacklist as well as go to the search results page on Google for more reviews online about this company. Perform a Supplier Blacklist search for more reviews on Yigang Precision Ceramic Co Ltd.
Search Google for Yigang Precision Ceramic Co Ltd Reviews.